Sansera Engineering Limited, incorporated on December 15, 1981, in Bengaluru, is an engineering-led integrated manufacturing company which is engaged in the manufacturing of complex and high-quality precision components used in automotive and aerospace sectors, primarily supplying to original equipment manufacturers (“OEMs”) in India and abroad. They manufacture components which are critical for engine, transmission and other systems for two-wheelers, passenger vehicles and light as well as heavy commercial vehicles. They also cater to other segments like tractors, generator sets, stationary engines, etc. They have 15 manufacturing facilities, out of which 14 are located at Bengaluru, Manesar, Pune, Pantnagar and Tumkur in India and 1 at Trollhattan in Sweden. They have maintained longstanding relationships with their clients like Bajaj, Yamaha, Harley Davidson, Hero, Maruti Suzuki, FCA, etc. The company is coming up with an IPO for its specific business usage and in this detailed Sansera engineering IPO review, we will see whether you should be investing in this offering or not. Currently, there are 6 Directors on the Board of Sansera Engineering Limited. S Sekhar Vasan is the Chairman and Managing Director of the company. He holds a bachelor of technology degree from Indian Institute of Technology, Madras and a PGDM degree (Post Graduate Diploma in Management) from IIM Bangalore. He possesses an experience of more than 38 years in the industry of manufacturing of precision products. 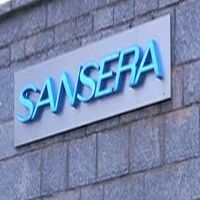 Sansera Engineering IPO will open on (undisclosed) and close for subscription on (undisclosed). The IPO size will be of up to 17,244,328 Equity shares and the face value of each share will be Rs 2. Up to 571,376 equity shares, aggregating up to ₹(undisclosed) million will be offered by D Devaraj. Up to (undisclosed) equity shares, aggregating up to ₹(undisclosed) million will be reserved for subscription by eligible employees. The price band range has been set at ₹(undisclosed) – ₹(undisclosed) per share. The offer price is (undisclosed) times the face value of the equity shares. The IPO size is expected to be up to ₹1400 Crore. The market lot size is of (undisclosed) equity shares and the shares will be listed on the National Stock Exchange (NSE) and the Bombay Stock Exchange (BSE). Pursuant to a resolution passed on July 31, 2018, the offer has been authorised by the Board of Directors and pursuant to a special resolution of the shareholders at the EGM held on August 3, 2018, the offer has been approved by them. The offer for sale has been authorised by Client Ebene Limited, CVCIGP II Employee Ebene on August 3, 2018, and by S Sekhar Vasan, F R Singhvi, Unni Rajagopal K and D Devaraj on August 9, 2018. The company has shown a gradual and continuous rise in revenues over the last 5 years. Total assets, as well as profit after tax, have increased from fiscal 2014 to fiscal 2018. As per the Restated Standalone Financial Statements, the return on net worth of the company for the years ended March 31, 2016, 2017 and 2018 is 14.61%, 12.89% and 16.63% respectively. The proceeds of the IPO will not be received by the company. The selling shareholders will receive the proceeds and the company will be benefitted by listing benefits and in terms of enhanced corporate image, brand name and increased visibility. Sansera Engineering filed the Draft Red Herring Prospectus (DRHP) with the Securities and Exchange Board of India (SEBI) on August 10, 2018, for the 100% Book Built Offer. The offer will open on (undisclosed) and close on (undisclosed). The finalisation of basis of allotment is expected to happen by (undisclosed) and the initiation of refunds is expected to start by (undisclosed). The transfer of shares to demat accounts is expected to start on (undisclosed) and the expected listing date will be (undisclosed). Now, before deciding whether to invest in Sansera Engineering IPO or not, let us examine some of the key strengths and risks related to the company. One of the biggest strengths of the company is that they are diversified in terms of customer base, end segment, geographical spread of revenues and product portfolio. According to CRISIL Report, Sansera Engineering is one of the leading manufacturers of connecting rods, rocker arms and gear shifter forks for two-wheelers and passenger vehicles. Their design and engineering capabilities are quite strong. Integrated machine building and automation capabilities are another strength of the company. They share good and long relationships with their prestigious customers and have been getting repeat orders from several of them for many years due to their consistently good quality and cost competitive products. Also, a great experienced management team and skilled employees are an added strength for the company. Financially also, the company has shown good performance over the last few years. Their total income grew at a CAGR of around 20.6% between the financial years ended March 31, 2014, and March 31, 2018. The average Return on Capital Employed for the financial year ended March 31, 2018, is 18.9% and the net debt to equity ratio for the same period is 0.84. Also, their growth and expansion strategies for future look promising. Now, let us list some of the risks related to the company. The dependence on certain major customers like Bajaj is one of the risks for the company. Any loss of such major customers may negatively affect the profitability of the company. The gross margin of the company and its ability to increase prices may be adversely affected by pricing pressure from their customers. They do not have a strong commitment to supply agreements with their customers because of which they are exposed to the risk of losses in case their customers do not choose to source their requirements from Sansera Limited. Also, the business is exposed to the risks of seasonal or economic cyclicality along with the decreased demand for their products. If they are unable to detect evolving trends in their industry and new technologies, their business and operations may be adversely affected. Since their customers are spread across different geographical regions, their risks are also increased accordingly. Any defects in their products or failure to comply with the strict quality standards may lead to a bad reputation which may affect the future profitability of the company. The employees of the company are members of unions and that exposes them to risk of industrial unrest, slowdowns or costs related to the increase in wages. Dependence on transportation and timely delivery of their products to the clients is another risk factor for the company. Also, competition in the industry poses another major threat to the company’s market share. The Statutory Auditors of the company have included some reservations and adverse remarks in their audit reports of the recent financial years. After going through different aspects of the company, it can be said that the investors may choose to subscribe to the Sansera Engineering IPO but that too for a long-term duration. If you are looking to make some quick money through a short-term investment, this IPO might not be the one. In case you wish to apply to this IPO or stock market investments in general, let us assist you in taking the next steps forward. ICICI Securities Limited, Credit Suisse Securities (India) Private Limited, IIFL Holdings Limited, Nomura Financial Advisory and Securities (India) Private and BNP Paribas are acting as Book Running Lead Managers to the issue. Link Intime India Private is acting as the Registrar for the Sansera Engineering IPO.